GL’s MAPS™ platform with PacketLoad appliance provides high density (up to 4 Gbps) stateful TCP/HTTP, UDP, and PCAP Replay traffic simulation solution in UMTS (SGSN, GGSN, RNC), and LTE (SGW, PDNGW) networks. PacketLoad is a 1U network appliance that includes 4 x 1GigE ports supporting total capacity of up to 4 Gbits/sec stateful packet traffic generation. Download the PacketLoad brochure for more details. It allows simultaneous simulation of multiple sessions per user. Currently, PacketLoad supports HTTP traffic simulation with the base requirements such as port number, server IP address, and pre-canned HTTP traffic file. To verify bearer allocation bandwidth at the end points, the packet traffic can be generated with GL’s MAPS™ UMTS / LTE simulators along with PacketLoad module that allow to encapsulate the generated packet data within GTP headers and transmit through the gateway points such as SGSN & GGSN, or SGW & PGW. 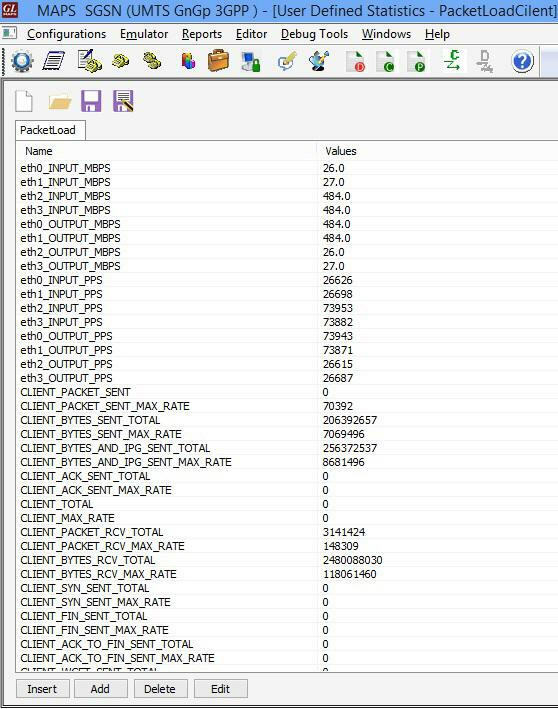 At the other end, MAPS™ with PacketLoad is used to verify the received data with the various statistics like Total packets transmitted and received, Latency, Delay, Bandwidth, No. of TCP connection created, Successful connection, Packet loss, and so on. 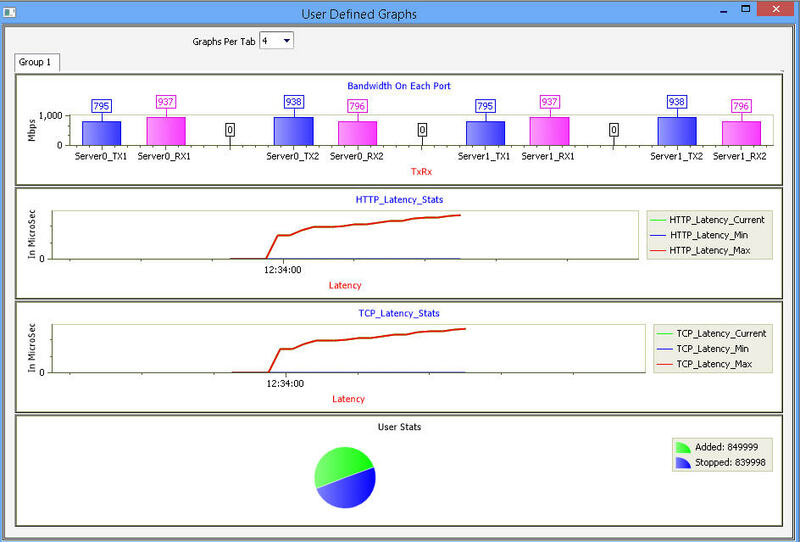 Call Graph uses the results from statistics to plot graphically the Bandwidth on each port, HTTP_latency, TCP_Latency, and UE related statistics in form Bar/Line/Pie charts. At the other end, MAPS™ with PacketLoad is used to verify the received data with the various statistics like Total packets transmitted and received, Latency, Delay, Bandwidth, No of TCP connection created, Successful connection, Packet loss, and so on.